I love my clients. I love the team. I love the history of Henry+Horne. I work to keep my clients satisfied and at the same time keep the most important assets of the Firm satisfied – our talented team members. 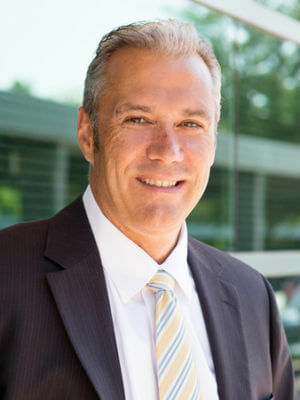 Charles (Chuck) Inderieden is known for his commitment to client service, his team members and the growth of the Firm. He specializes in high-net worth individual, trust, estate and gift-tax planning and compliance services. He uses his extensive industry knowledge to bring value to his clients and focuses on caring for and responding to their needs. He is passionate about keeping up to date with new planning ideas that help his clients, as well as planning for the future of the Firm. Chuck grew up in St. Cloud, Minnesota, where his parents still reside, and travels back there as much as he can to see them (in the summer time, of course). Before joining Henry+Horne in 1996, Chuck spent nine years at a local CPA firm where he became obsessed with learning everything he could about estate, gift + trust planning. When he’s not working, Chuck loves spending time with his family – his wife Stacey, son Kyle and daughter Ella. In his free time he likes to golf, watch the various Minnesota and Arizona sporting teams try their best to compete (a tough task), hike, work in the yard and travel. For those who know Chuck, they would also say he’s obsessed with watching Phil Mickelson play golf whenever he can. I would like to play a round of golf at Augusta National (goal) with Phil Mickelson (dream). I think the ability to fly. That would be cool. If you could be given any gift, what would it be? Vikings or Cardinals win the Super Bowl. Charitable Giving: Now or Later? Should You Give to a Donor-advised Fund?